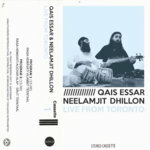 clementkent Heard Qais Essar live with Ed Hanley on tabla - a wonderful concert! 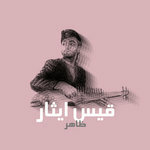 Faisal Jewell When I listen to it, I imagine that I'm exploring the streets of Kabul. Favorite track: Ilahi Man Namedanam. 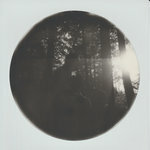 Limited edition, hand lathe cut 7" mono record. Only 25 made. 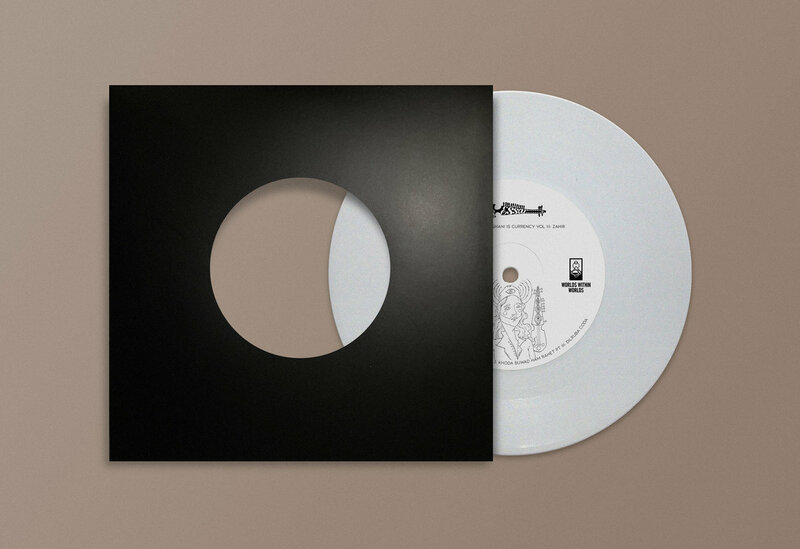 Comes as white vinyl in a black sleeve. Artwork by Moh Rifaii. Includes unlimited streaming of I Am Afghan, Afghani Is Currency Vol III - Zahir via the free Bandcamp app, plus high-quality download in MP3, FLAC and more. 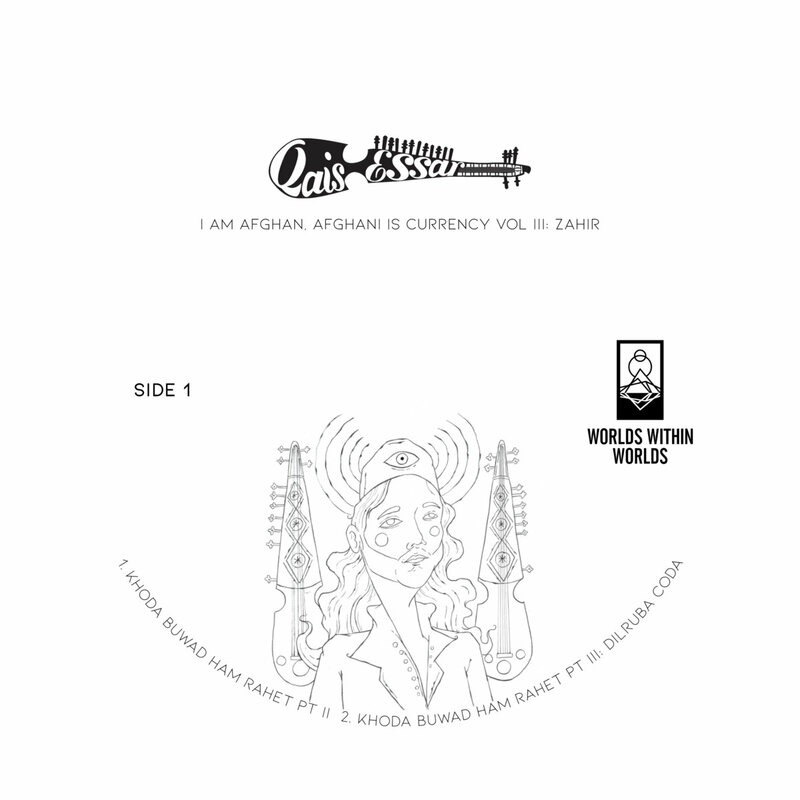 Worlds Within Worlds is proud to announce the release of Qais Essar's ‘I Am Afghani, Afghani Is Currency Vol III - Zahir’ - a meditative tribute to the music of Afghanistan and beyond. Taking influence from stalwarts of Indian classical music and reworking songs renown Afghan singer Ahmad Zahir, Essar draws on elements inspired by Steve Reich and Terry Riley to share his passion for classical Afghan music and the rabab. "These EPs are pretty unrestricted artistic statements," says Essar of the ‘I Am Afghan...’ series, "smaller projects that need not have to be stretched to be full length albums, just are able to exist as they are. In specific the ‘I Am Afghan, Afghani Is Currency’ series is a fun one - an avenue I can pay tribute to the music from Afghanistan. This is will be the 3rd installment of the ‘I Am Afghan, Afghani Is Currency’ and people still call me Afghani. Guess I still have more work to do." 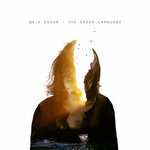 The release itself accentuates Essar's mastery of isolated instrumentals and mood, taking you to places both intimate and hazy on a song by song basis. With reimagined tracks and a sweeping range of instrumentals at his back, Essar presents 'Khoda Buwad Ham Rahet' as his first single - a lyricless version of the Taranasaz track from the 1970s. 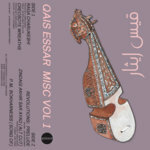 The music still hums with emotion as the rabab seemingly sings in place - Essar doing justice to the essence and prowess of what drew listeners to Taranasaz’s work years ago. "I have always felt, and talked about how the rabab forms this bubble around you when playing," says Essar. 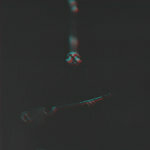 "Something about the resonant nature of the instrument creates this seemingly impenetrable force field. Once in the bubble the outside world seems as if it were a thought you had years ago, not present at all. Surprising that this force field is made of the humblest parts- mulberry wood, gut strings, steel strings, goat skin. Nothing machines or chips needed, its power is generated from the sound it creates." There is certainly something bewitching about the rabab - the lute-like national instrument of Afghanistan and inspiration for the sarod of Hindustani classical music. It is an essential component of the classical art music of Afghanistan, a tradition which came under heavy attack during the years of Taliban rule, during which music performance was banned, musicians were persecuted and public destruction of both music and instruments common. Essar's prowess is reiterated through his professional achievements, of which they are many. A recipient of a Canadian Screen Award for Best Achievement in Music, Essar's work has seen him scoring films such as the Golden Globe and Oscar-nominated The Breadwinner - directed by Nora Twomey and produced by Angelina Jolie. His work in Brooklyn has also seen him contribute to performance musicals, reinforcing his mastery for atmospheric instrumentation. Qais Essar is one of the foremost contemporary players of the Afghan rabab. 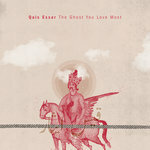 Given his superb compositional voice - which draws as much from modern film as the classical traditions from which he has emerged - this release is sure to be enjoyed not only by fans of classical music from across Asia and the Middle East, but lovers of world music and instrumental music the world over. 'Ilahi Man Namendam' (track 4) originally composed by Ahmad Zahir.